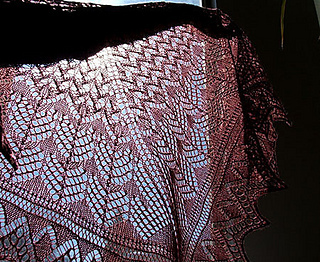 I designed this shawl to evoke the feeling of the beloved Wasatch and Rocky Mountain Ranges. 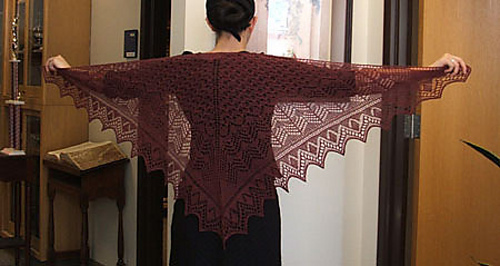 This shawl echoes my deep and abiding love for the mountains that surround my high desert home. From the many foothills to the craggy peaks all throughout the year. From rocky ridges to sleeping snow-capped titans. A lighter weight version is available here. 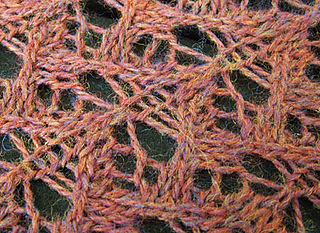 Stitches Used: knit, purl, knit through the back loop, purl through the back loop, k2tog, p2tog, p2tog through the back loop, k2tog through the back loop, k3tog, p3tog, sl1 k2tog psso, yo, yo2, ssk, wrap & turn short rows.